How Much Can You Borrow On A Reverse Mortgage? Using home equity through a reverse mortgage can provide a cashflow boost to your retirement income – so how much could you borrow? Home Loans For Pensioners: Can A Pensioner Get A Home Loan? Everyone always talks about the state of the property market for young people, but nobody ever seems to ask the question: what home loans are available for pensioners? A reverse mortgage home loan is a credit product type of equity release product (ERP), where your loan is based on how much you own of your home (the equity). In a reverse mortgage, the bank lends you a portion of the house’s value, using the house as security. You still own it! You continue to be the owner of your property. 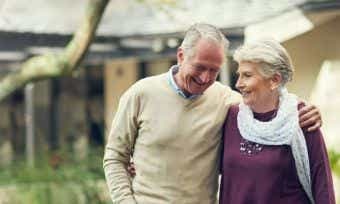 No requirement to pay it back There is no requirement to repay either capital or interest on the reverse mortgage during the time that you live in the property. Cost Interest is charged on the loan, at a rate that is generally around 1% higher than a standard home loan. Protection The Government’s 2012 consumer credit reforms included a protection against negative equity in reverse mortgages. Borrow more as you age As your age increases, so does the proportion of your home’s value that you can borrow. When you move out … Like a standard mortgage, when you move out the loan (including interest and fees) will need to be repaid, generally from the sale proceeds of the house. Do you still own your own home? Do you still own your own home with a reverse mortgage? Negative equity protection: You cannot go into negative equity, meaning you cannot owe the bank more than a certain percentage the value of your home, and the bank cannot require you to repay more than the value of your home (with a few exceptions). Maximum LVR: You cannot borrow more than a certain percentage of the value of your home; this is the loan-to-valuation ratio (LVR). This is so that you have adequate capital left over if you need it. The amount you can borrow depends on your age and the value of your home. As you grow older, you are able to borrow up to a higher LVR. 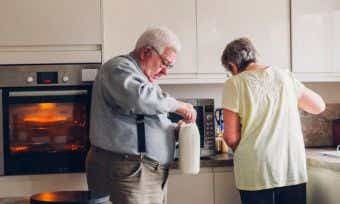 As a general guide, 60-year-olds may be able to borrow around 20%, while 70-year-olds may be able to borrow around 30%. Legal advice: You are required to get independent legal and financial advice before signing up for a reverse mortgage. Protected equity: Some reverse mortgage products let you specify a certain percentage of protected equity – a portion of your home’s value that you would like to remain available for your estate or for paying the bond for residential aged care at some point. If you choose this option, your reverse mortgage balance could only ever reach a certain amount. Equity and cost projections: ASIC requires that before granting you a reverse mortgage, your credit provider must talk you through the projections of how your loan will grow over time with interest and your home equity will change. Your provider must do this in person, using the ASIC MoneySmart reverse mortgage calculator, and you must receive a printed copy to take away with you. Information statement: ASIC requires your credit provider to give you an information statement explaining how a reverse mortgage works, how costs are calculated, what to consider before making your decision, and who to contact for more information. Reverse mortgages can have an effect on your Age Pension entitlements so if you are on the pension, you should speak with a Department of Human Services Financial Information Service officer before signing up for a reverse mortgage. You can visit an FIS officer in person at your local Centrelink office or call Centrelink on 132 300. Do you have to make repayments? Do you have to make repayments on a reverse mortgage? The repayments on a reverse mortgage are not like in a standard mortgage. In a reverse mortgage, the interest repayments just get added to the balance of the loan and you don’t need to pay the bank any money. 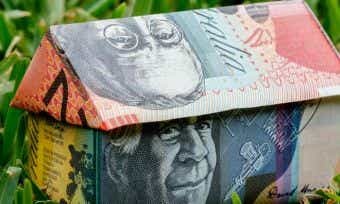 The loan is only repaid when you sell your house, move into residential aged care, or pass away. You can make repayments any time you want to and have enough savings to be able to, but it’s not necessary. You might make repayments if you wanted to be able to pass on a larger portion of the sale price of your house in your will. When we rated reverse mortgages in early 2017, the interest rates on offer for reverse mortgages ranged from 6.19% to 6.37%, with an average rate of 6.25%. Terms of the loan: What is the minimum loan amount? What equity amount is protected from the lender (LVR)? Is there a protected equity option? Product functionality: Can you attach a mortgage offset account to the loan? Is there a redraw facility? Can you make additional repayments if you wish? Can you have a split loan? Default: What events may constitute a loan default? What action will lenders take if the borrower is in default? 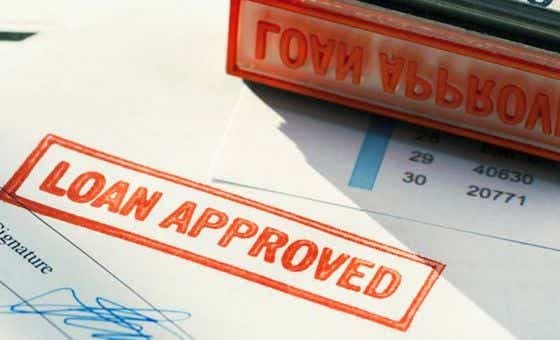 Loan application and approval: How easy is the loan application and approval process? Mrs Amelia Birch has just celebrated her 75th birthday and has been thinking of reassessing her finances. She had a small amount in superannuation when she and her husband retired, but after a holiday to the pyramids in Egypt she had used most of it up before turning 70, and her husband has now passed away. It occurs to Mrs Birch that she had been looking forward to making another trip to visit her daughter, who is a missionary in Peru, but she may not be able to afford it on the Age Pension alone. Mrs Birch does most of her banking on her home computer now that she finds it more tiring to visit a branch. She hops on the computer and uses CANSTAR’s website to research reverse mortgages and how she might be able to use some of her home equity to fund the rest of her retirement. She makes some notes, then phones her financial advisor to set up an appointment to talk over her options. Mrs Birch asks her financial advisor about how a reverse mortgage product might work in her personal situation.